The latest EMV certified version of Store Management Suite, version 3.4.0.4, has been officially released by LOC Software. Our entire team remains dedicated to offering a full suite of solutions aimed at helping retailers buy smarter, sell more often and manage more efficiently. LOC Software, a leading retail management systems software provider, today announced its release of the latest version of Store Management Suite (SMS), version 3.4.0.4. This latest version of SMS contains several new enhancements and modules, with the primary one being official EMV certification for US based retailers. This new certification provides direct processing with First Data™ and Worldpay™, allowing retailers to securely process EMV based chip card transactions. 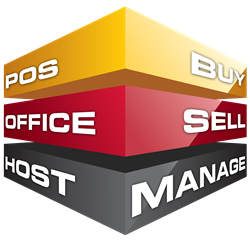 LOC delivers its SMS software suite through a global network of certified resellers. These partnerships ensure retailers receive complete, localized services to include all aspects of their retail enterprise needs. Additional information and scheduling requirements can be obtained through this network.